Yup you read it correctly. How would you clear terminal history in Linux? Before we see how that is done lets address even better question why would be clean our command line history? I am not going to answer this question for you :). It is same as asking why would you clear your browser history or launch incognito mode ? Sometime we have too - that's all I have. 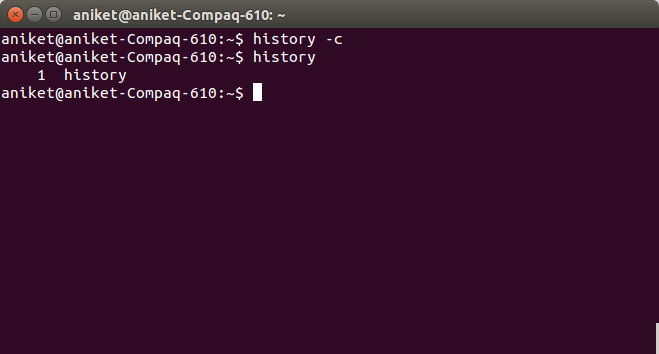 For Linux users who have not heard about this command just type history in your console and you can see your previously typed commands there. (Ctrl + R) Start typing your command. But let's stick to our agenda for today. We will see how to clear our terminal history. Note : This may just clear history for current terminal and may not be reflected to in other terminals. This did not work for me on my Ubuntu 14.04 machine. Go ahead and read that file. You can see your history getting saved there. So now you know the source. You can simply delete the history from this file. Note : ~ notation is shortcut for current user. 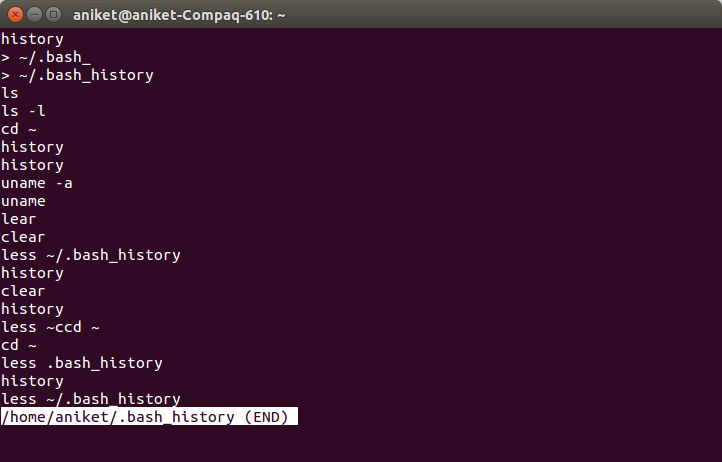 History is stored in a file called bash_history which is in root folder of the user. 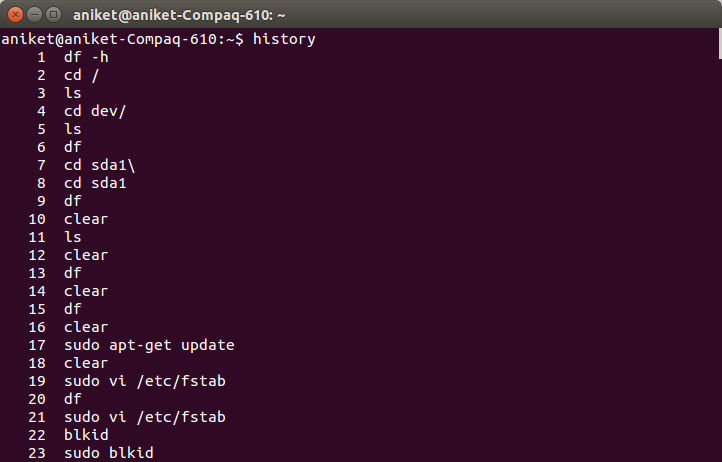 Note : You will have to relaunch terminal to see the changes.